I am buying a house. Should I check for radon? A real estate transaction is the most common reason for doing a radon test. It only makes sense as part of the home inspection process, prior to actually purchasing the home, to test for radon. In fact, in over 30 states, it's the law. What is the acceptable level of radon? The US EPA has established the action level for deciding when you need to do something about the radon in your home, school, or work place is 4 pCi/l. pCi/l= picocuries per liter, the most popular method of reporting radon levels. 4pCi/l is the level accepted by most states. We have found a great house, but it failed the radon test. If you have found the perfect house based on all other factors (price, location, size, etc.) and it happens to have a radon level above 4.0 pCi/L - plan on buying it. Radon levels can be reduced! That is what radon mitigation systems do. There has never been a home where the levels could not be brought within EPA acceptable guidelines. If the home already has a system in it, great! That means the problem has already been addressed, and all you need to do is re-test to make sure that the system is working properly. If the home fails the test, who pays to fix it? Paying to fix defects in a home is part of the final negotiation procedure between the buyer and seller. Most of the time the seller agrees to pay for it. Sometimes if the house is sold in an as-is condition, then the buyer has to pay for it. And sometimes it's just split between buyer and seller. There is one very important legal comment that must be made. Elevated radon levels are considered a serious defect in a home. The levels can be reduced - and should not scare you off from buying the home - but can be an important negotiating tool for you. Failure to address serious defects can be cause to withdraw from a real estate transaction. Also, if the home fails a radon test for a potential buyer, and that buyer withdraws from the transaction, the seller MUST change the disclosure statement to reflect that the home did fail a radon test. Failure to do so constitutes real estate fraud! The price will range between $800 - $2500.00 for a standard sub-slab depressurization system. Complicating factors that will increase the price include: crawl spaces with exposed dirt, multiple slabs, rock basement walls, sand beneath the slab, no aggregate beneath the slab, and pipe penetrations through fire rated walls, and architectural considerations. I am thinking of buying a home with a radon mitigation system in place. What should I look for in order to make certain the system is working properly? You may want to call in a licensed radon mitigation contractor and ask that he inspect the system. You can get a list of the approved contractors from your state radon officer. The primary advantage is that you will have lower in-home radon levels if the system was installed correctly and it is operating properly. A secondary advantage, at least in many parts of the world, is that you will see a much lower level of humidity (dampness) inside the building, especially in houses with basements or slab-on-grade floors. The type of mitigation system will be a factor in this situation. In other words, if the system is an active sub-slab-suction design or has incorporated a vapor barrier over the bare soil, then this may be one of the additional benefits. In many cases, we have heard of folks getting rid of their dehumidifier after seeing how dry the basement was after switching on their mitigation system. One of the disadvantages is that you will pay a small energy penalty with an active design because of the energy required to run the small fan. (Most will only draw about 50 watts.) There is also a small amount of reverse flow of inside (conditioned) air that you may have paid to heat or cool. Another possible problem, in a poor installation, is that you may be able to hear the fan running. Fortunately, this complaint is seldom heard and if it is, it is usually easily fixed. Are there other symptoms or health problems, other than lung cancer that are associated with radon gas exposure? We receive this question from a lot of folks who have been suffering from various health problems and the basic answer isTHERE ARE NO SHORT-TERM RADON EXPOSURE SYMPTOMS that have ever been documented. At least not at the levels you are likely to see in a home, school, or office. Also,YOU WILL NOT HAVE ANY OTHER bodily symptoms such as joint pain, stomach or intestinal problems, headaches, or rashes from short-term radon exposure at natural environmental levels. It will take years of exposure at relatively high levels before you are likely to have ANY symptoms and then the only known (documented) symptoms are the same as those listed here for smoking induced Lung Cancer Symptoms. Will sealing slab cracks/openings reduce indoor radon levels? Unfortunately, sealing slab cracks and openings does not generally have any significant effect in home indoor radon concentrations. 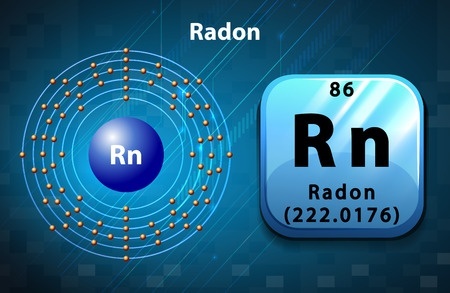 This seems strange because we know that radon is mixed in soil gas and it is pulled into the house through cracks by slight pressure differences caused by wind, temperature differences and fan action. The problem is that sealing generally results in a higher concentration of radon in the soil gas, so that even though the sealing reduces the amount of soil gas that gets into the house, the same amount of radon gets in. And that means that the indoor radon concentration remains about the same! Occasionally sealing is partially effective, so you may want to try it. Be sure and use sealants that can stick to dirty concrete (like polyurethane caulks). Even if you are not successful, any slab sealing will increase the effectiveness of a fan powered radon mitigation system. How long will it take to fix my radon problem? A typical job takes about one man day, and the retest requires two or more days for the radon test. You can generally get you house fixed and retested in about 2 to 4 days. Remember you can always call and ask any plumbing question: (513) 574-0025. Why do I constantly have a toilet problem? As simple as a toilet appears, there are many things that can go wrong that will cause it to run or not flush properly. You may already have purchased and tried all the parts the Big Box store sold you and the still does not work properly, now you need a Plumber! Your problem may involve a variety of parts and tools that are available only to a Plumber. You may have a blocked vent, drain line obstruction or the internal water passages in the toilet are limed up. 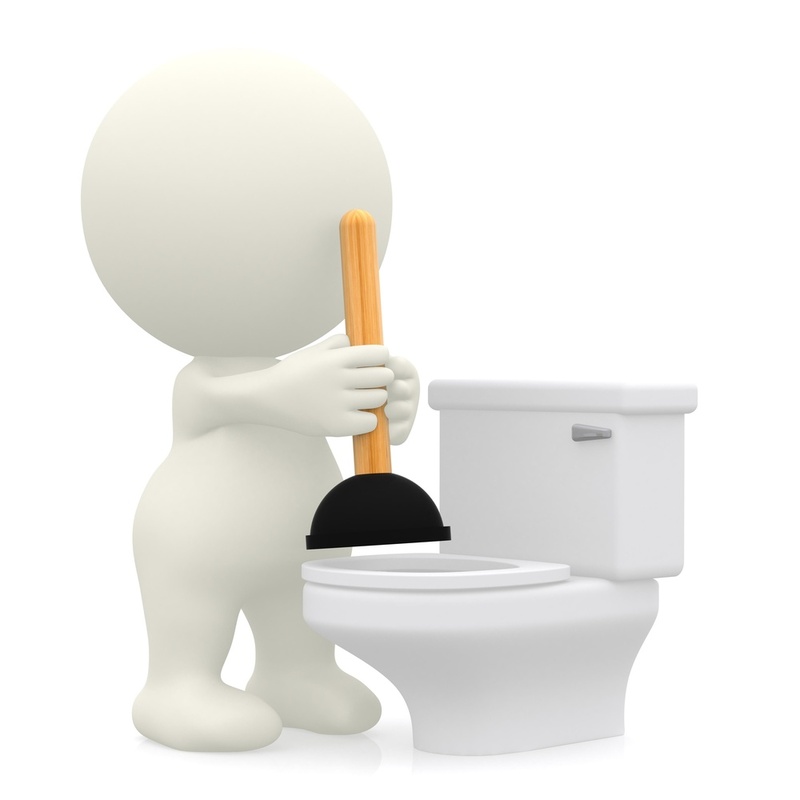 After a problem evaluation, a Plumber may suggest a new toilet if repair costs are close to the price of a new toilet. I do not have enough water pressure. What is the solution? Most people confuse pressure with volume. You need an evaluation of the distribution system to see if there is sufficient pressure as well as volume. You may very well be in an area that has low water pressure and in most cases a booster pump can be installed to increase the pressure. Too little water volume can be caused by a restriction somewhere in the system or corrosion and calcium build up in the piping. You may also have a water distribution that is not properly sized to be able to have sufficient volume for multiple fixtures operating at the same time. For example, you are in the shower and you hear the toilet flush and you can't move fast enough to avoid the temperature change that is inevitable. You may also have an isolated problem with an individual fixture causing the problem. Our Home Services Technician can diagnose the problem and offer options and pricing to resolve your pressure or volume problems. What causes my faucet to always drip and toilet to keep running? A Pressure Reducing Valve is needed to protect your plumbing fixtures from damage due to being exposed to above normal operating water pressures. The Ohio State Plumbing Code requires that a PRV be installed on any system exceeding 80 PSI, other states and municipalities may have variables in pressure limitations. When do I repair vs. replace my faucet? Repairs are just that: while some faucets repair very well, others often experience a percentage of repair failure - even if you replace all that can be replaced, the fixture still continues to malfunction. You have to take into consideration the age of the fixture, the cost of the repair parts, labor and the trip charge for parts, if needed, and weigh that cost factor against the price of a newer style faucet with upgraded, smoother mechanics and a new warranty. We sell Wolverine brass faucets; they are USA made and carry Lifetime Part Warranties. If you have a problem with a faucet we will make every effort to correct the problem with a new part, and if we cannot repair it with a part you get a new faucet. Sometimes you must have a faucet repaired because it matches a certain decor or it has some sentimental or historic value in that case if parts are not available we will make every effort to get the fixture better. Why do I have a sewer gas smell in the basement occasionally? The majority of the time it is because a trap seal in a floor drain has evaporated. The trap seal is a water seal to prevent the escape of sewer gas into the home. You can pour a bucket of water slowly into the floor drain to reprime the trap seal. If smells persist, call Geiler Home Services to evaluate the source. You may have a defective trap or something within the venting system is causing a trap seal to be lost. You may have another source of the smell emitting from a drainage or vent pipe. I could swear I hear the toilet flush by itself. Is it my imagination? Toilets are designed so that when the water reaches a determined level in the tank it will refill the tank automatically. You may be hearing the toilet refilling which is an indicator that the tank is losing water. Your water bill will reflect this if left ignored. We can solve this problem for you if all attempts by you have failed. My water bills seem high. What might be the problem? 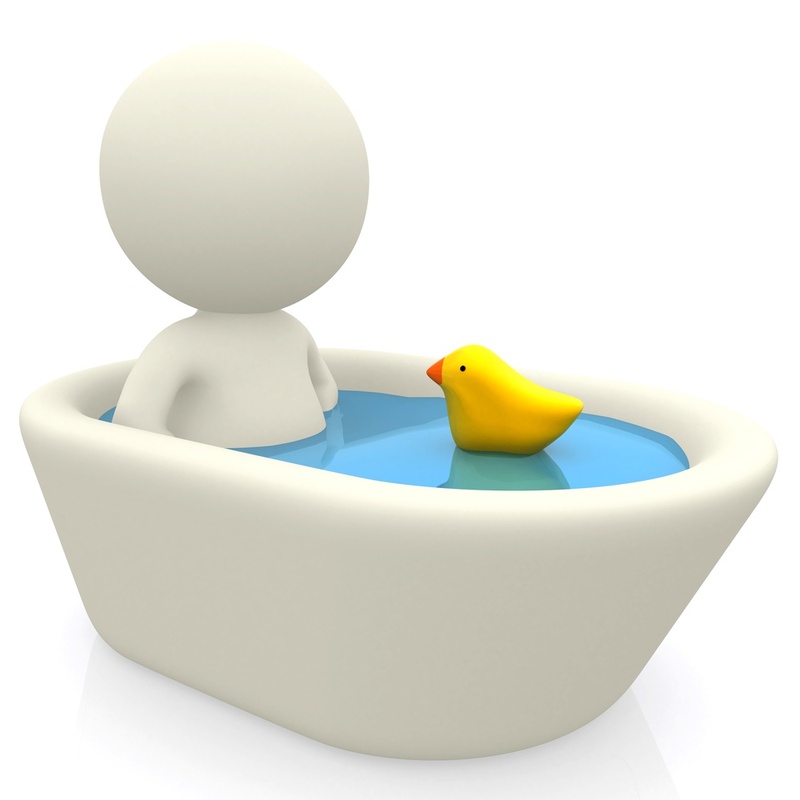 High water bills can result from toilets running, faucet dripping, a water service pipe leaking underground, water meter leaking out in the yard or a abandoned branch line with a valve is not sealing tight. We can perform a water waste evaluation for you and make the necessary repairs with just a call. Why do I get shower shock? It is important that you have a water distribution system that was installed with adequate sized pipes to allow enough water volume to be available for multiple fixture usage. You may experience this when someone flushes a toilet while you are in the shower and you get a rapid temperature change, either hot or cold. This rapid temperature change could cause you to jerk and possibly lose your footing and fall. A safety measure is to have a pressure balanced scald guard faucet installed. Your Geiler Home Services plumber can help. If you don't see your question, just call (513) 574-0025. We are here to help you! You wouldn't buy a brand-new car and expect to never have to put air in the tires, change the oil or check out any unusual noises, would you? Well, in the same way it is important to have regular inspections of your home comfort system by one of our expert service technicians. If not maintained properly, even the best equipment could cause problems. What are furnace, air conditioner and heat pump ratings? Furnaces are rated by the Annual Fuel Utilization Efficiency (AFUE) ratio, which is the percent of heat produced for every dollar of fuel consumed. SEER (Seasonal Energy Efficiency Ratio) is a system for rating cooling equipment and HSPF (Heating Seasonal Performance Factor) measures the efficiency of the heating portion of a heat pump. Like the miles per gallon rating on your automobile, the higher the AFUE or SEER rating, the lower your fuel costs. The efficiency rating is just one factor to consider. HVAC systems use electricity to run fans and motors and that amount varies greatly depending on the type. Be sure to check electricity usage prior to making a purchase decision. What size furnace or air conditioner do I need? Each home and owner has unique comfort requirements. Without a complete home analysis, it's impossible to determine the proper size of the replacement equipment. Therefore, we recommend a home heating/cooling load evaluation by one of our trained specialists. 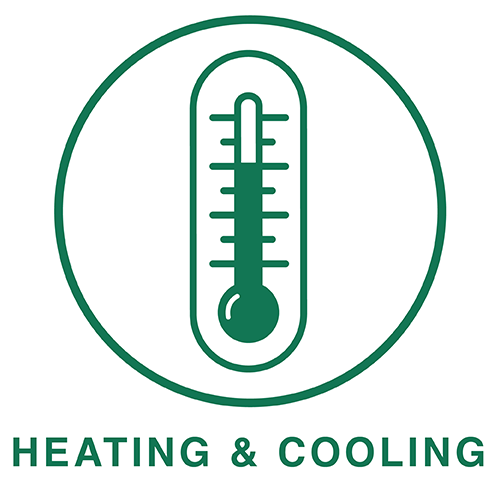 We evaluate your home for not only the heating/cooling appliance, but also the quality of the heated/cooled air, and how well the air is distributed in the home. 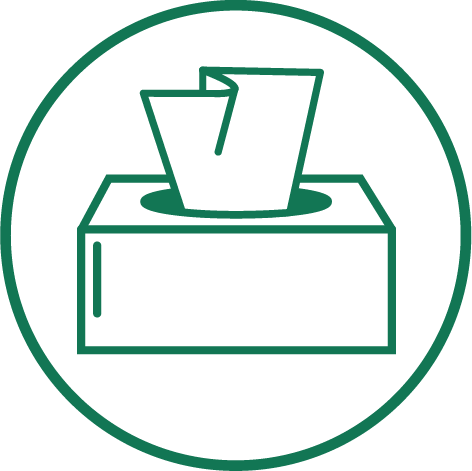 We also take into consideration changes made to the home since the last equipment was installed. New windows, doors, insulation, exterior changes and other appliances may have a huge affect on the size of the furnace or air conditioner needed today. We recommend cleaning/replacing your filter once per month. Many factors can cause more contaminants within your household, such as pets and leaving windows open. Filters should generally be changed when there is visible dirt accumulated on the filter. Airflow is restricted by dirty filters and this can cause increasing loss of heating and air conditioning efficiency, and may even damage the HVAC equipment. What are the benefits to installing a humidifier? Humidifiers help to keep comfortable levels of moisture in the air, and properly maintained levels of humidity are beneficial for your respiratory system. Whole-house humidifiers work like old-fashioned room humidifiers: They put moisture into the air, making harsh, dry air easier to breathe. And whole-house humidifiers use water mist instead of hot steam, which keeps the entire house at the desired humidity level. What can be done to protect your home from the danger of carbon monoxide? Carbon monoxide can be an invisible threat to your family's health and safety. It can accumulate in any home unless certain precautions are taken. Taking proper safety measures will reduce your risk of carbon monoxide poisoning. Because vehicles are a major cause of carbon monoxide poisoning, always back your car out of the garage to let it warm up. Never leave it running in the confined space of a garage, particularly if the garage is attached to the home. Never use ovens or grills for heating devices. Home heating systems represent only five percent of the many potential sources of carbon monoxide. They are designed to be safe and efficient and not produce substantial amounts of carbon monoxide. However, it is important to schedule annual maintenance visits by one of our qualified Geiler Home Services technicians to check all combustion appliances to make sure they are operating properly and to be sure that all chimneys and vents are connected properly and not blocked. How can I control energy costs and make my home more energy efficient? When selecting a new home comfort system, pay close attention to the SEER rating of the air conditioner and the AFUE of the furnace. The higher the SEER or AFUE, the more efficiently they operate and the higher the savings you get. Consider zoning your home. It can drastically lower your heating and cooling costs. Install a programmable thermostat to efficiently deliver maximum comfort when you need it. Make sure all ductwork vent registers are not blocked by furniture. Insulate your attic and attic ductwork. Install solar screens, awnings, or plants to shade windows and walls during the Summer months. Keep heating and cooling filters clean and inspect them monthly. Turn off all lights, fans, computer monitors, etc. when a room is unoccupied. Consider replacing low efficiency incandescent bulbs with compact fluorescent bulbs. Always buy products with the Energy Star® label. Familiarize yourself with where your Main water emergency shut off valve is, your shut off valve on your water heater, any and all isolation valves for outside hose faucets, hot and cold water supplies to second floor bathrooms, piping running through crawl spaces and any other plumbing fixtures. Learning the location of these valves will come in handy during an Emergency. Tips to prevent frozen pipes in your home. Disconnect and drain garden hoses and other hose attachments and install an outside insulating cover over the faucet, available in most home improvement and hardware stores. Keep garage doors closed if there are water lines or the water meter is in the garage. Open Kitchen and Bathroom cabinet doors and allow warmer air to circulate around the piping. Wrap piping nearest exterior walls and in crawl spaces with pipe insulation or packaged heat tapes. Please follow manufacturer instructions because some heat tapes require that the thermostat bag be located on the most vulnerable spot. Heat trace tape is more effective however you may have to purchase heat trace tape at a plumbing supplier and once again follow installation instructions. Insulate piping in all cold air spaces, piping exposed to cold air and keep the piping dry if at all possible. Keep the thermostat set to the same temperature during the day and at night. The combination of Freezing Temperatures and Drafts cause pipes to freeze more frequently. Block or stop all sources of cold drafts in piping spaces. Use space heaters or Heat lamps to warm up cold air spaces. Never leave heat sources unattended! Allow faucets to drip at a slow constant flow. This will add to your water bill however it is cheaper than having a plumber in to thaw out a pipe or repair a burst line. It is far better to heat the area around the frozen part. Set the thermostat in the house no lower than 55 degrees F or 12 degrees C, Ask a Family member, neighbor or friend to check the house daily to make sure the heating system is working and test all fixtures for water flow. Report any unusual findings. Before you shut off and drain the water system, turn off water heaters!! electric and gas. Beware if you have a water source fire protection system that you do not drain this piping without notifying your fire protection company first. It is best to drain water heaters however due to sediment build up in the bottom of heaters may prevent the heater to fully drain, in that case drain off as much water as possible. If a faucet or pipe inside your house freezes, and you have access to the part, you can thaw it with the use of a good hair dryer. Note: Avoid using electric appliance around standing water! You can wrap hot water soaked towels around the frozen part. When thawing a pipe keep the fixture turned on that it is supplying so it allows room for expansion and so that melted water can drip out. Allow faucet to run for 1 minute after flow returns and then allow to drip if freezing temperatures continue. When thawing a pipe, start closest to the supplied fixture. Only professionals should attempt to thaw piping by means of using torches and extreme heat and flame producing apparatus. The water in the piping if heated too quickly has the potential of flashing to steam, can explode and cause serious bodily injury. Immediately shut off your main water shut off or any valve that is the water supply source for the frozen pipe. If the break is in a hot water line you can shut off the valve on your water heater. Once again, familiarize yourself with the location of all of your emergency water shut off valves in the home. Once a year operate the valves to make sure they turn on and off. If a valve is hard to turn, shows signs of corrosion or is leaking, have the valve(s) serviced or replaced. Call the professionals at Geiler Home Services 513-574-0025. Keep the phone number handy for emergencies. Open cabinet doors to allow for warmer room air to enter. Put a light in the cabinet, and keep a close eye on the light in case it is getting too hot in the cabinet. The use of a drain augur also known as a snake, under most freeze conditions is ineffective in breaking down the ice and may lead to piping separations or connection leaks. Do not use drain cleaners! You can add a hand full of Calcium Chloride in the drain trap and add hot water in the vessel. As the water cools in the vessel, bail out the cool water and add more hot water. If you have access to the frozen part the use of a Good Hair Dryer will be effective Follow some of the fore mentioned steps for warming the cold air space that the drain line may be in.